On today’s podcast: Lindsey Martin of Erin Lane Bags! Join Marly as she talks with Lindsey Martin, the co-founder of Erin Lane Bags, about how she learned to knit and how that lead to her wildly successful company. Soon after learning to knit from her Aunt, Lindsey got tired of loosing needles (as we all do) and couldn’t find any organizers she liked. She asked her Mom (also a crafter) if she would make her one and the KnitPack was born. The same thing happened with project bags leading Lindsey and her Mom to realize they could make a business. Listen to the show to hear the rest of this i nspirational story! New for next year you can join the Erin Lane Bag Club! Lindsey has reopened sign-up through December 7th! Get in now while you can! When you join the club you will get FOUR exclusive Erin Lane Bags: One Large Project Bag (15″ x 15″), One Small Project Bag (12″ x 12″), One Sock Project Bag (10″ tall with a 5″ square base), and one of the new Two-Fer Project Bags (A project bag with a divider in the middle for specialized projects.) over the course of 2014! You can find Erin Lane Bags at their Etsy shop ErinLaneBagsandMore and at trade shows like STITCHES Expos and fiber arts festivals like the Arkansas Fiber Arts Extravaganza. Lindsey is also on Ravelry, Twitter, and Facebook. As always the GIVEAWAY! Leave a comment below for your chance to win an Erin Lane Sock Project Bag! Last but not least today, the beginnings of the Fiber Black Friday Deals!! Erin Lane Bags is have their sale Friday to Friday (Nov. 29th to Dec. 6th). Get 15% off the entire shop with the code bf2013 and if you have $70 or more in your cart, use the code freeship for free shipping! Marly’s Ravelry Shop: Nov. 28 through Dec. 3rd use coupon code bf2013 for 30% off! Drew Emborsky: Black Friday through Cyber Monday, 50% off all wool yarns. Bijou Basin Ranch: Nov. 29th and 30th 20% off Lhasa Wilderness, Shangri-la and Seraphim. Dec. 1st and 2nd 20% off everything in the store plus an additional 10% on the new Yak Wrap. Dec. 3rd through 24th 15% off everything in the store plus free shipping! Don’t forget to check back with them for great deals on kits of a few of Marly’s new patterns in their Rocky Mountain Collection! Indian Lake Artisans: 20% off needles on Cyber Monday with the code MBirdYarnT! Fiesta Yarns: sign up for their awesome newsletter to get their deals (and you all kinds of other cool stuff too!). Craftsy: Always check out Craftsy.com because when have they ever missed a big holiday sale! Don’t be surprised if there are some really great deals this week and on Cyber Monday! Sorry to miss the show, live! This is my first visit to the podcasts and I am re-energized this snowy, too-cold, late Fall day by hearing the conversation with Bonita Designs. I look forward to listening to the Lane Bag chat, next. Organizing yarn, tools and projects is ever evolving as the number of objects grow, and new skills and interests develop. Material management is its own area of expertise, and one wants the containers and holders to be esthetically pleasing, too. So thanks for connecting and presenting. I found my way here by way of your kind invitation to present others’ Cyber Monday/Black Friday promotions. Today’s podcast was as brilliant as the Erin Lane designs! Thanks! I think that this podcast is brilliant! Your bag club is a brilliant idea, I have a couple of your bags and I love them. I was at Stitches East and was able to try all the bags out. You’re pattern holder is great. Wow what an inspiring and brilliant family. Lindsey will success and be able to leave her teaching job quicker than she thinks. I love these bags and bought two this year at Stitches East. I live the notions bag I purchased, it is truly a brilliant design. The two-fer, as well as the bag club, are brilliant ideas. Erin Lane Bags was a brilliant idea. So glad it worked out so well for you. I was so happy to hear to origin story of Erin Lane! I love mine from Stitches Midwest. It was brilliant customer service that will have me back at the booth next year. Brilliant and inspiring story behind Erin Lane. Two brilliant women together in one podcast. Loving my AllPacka that I bought at Stitches East. The project bags are beautiful and brilliant. As a former teacher, I totally understand difficult days & wanting to drive off into the sunset! I think it is absolutely brilliant that she found a way to use that emotional energy in a way that motivates her, makes so many people so happy, and will help sustain her family if she quits teaching! Best of luck building your business to the point that Erin.Lane can be your only job! Your bag designs and pattern choices are brilliant. I’m having a hard time deciding which one I like best! After viewing the website, I believe Lindsey’s color combinations are some of the most creative I’ve seen for any project bag. The business is a brilliant idea! The best of luck to you Lindsey. Lindsey is a brilliant bag designer and her story is both heart-wrenching and awe-inspiring! Continued success and best wishes for this amazing bag lady. Marly it was another brilliant show, I love Lindsey’s bags and loved hearing the story that goes behind them. Continued success to Lindsey with Erin Lane Bags! Brilliant bags. So glad I found your podcast. You always make me smile and motivate me to keep knitting and exploring the craft world. Thank you and God bless you and yours! The two for bag is brilliant! It just might do the trick for tangles doing two at a time socks. Another enjoyable show Marly. Thanks again for all you do for the industry. Thanks for a great interview with Lindsey. I love her bags and it was so interesting to hear how she got started. Oh dear, I forgot to mention that Lindsey’s bags are absolutely brilliant!! I love that this little acorn of an idea was launched and has grown. Brilliant concept! Thank you. Such a brilliant couple of ladies on the podcast today. I’ve loved hearing your stories and sharing in your successes! Awesome fabric bags! Brilliant idea. Loved to hear your story. I have a thing for clubs. Getting surprises in the mail is absolutely brilliant. Couldn’t help but to sign-up while listening to the podcast!! Just got a chance to listen to the podcast while working on my two at a time socks.I throughly enjoyed the show and I’m so happy for Lindsey. I started to cry when I heard about her mom. I think it was brilliant that they both came up with the idea and helped each other out. I just finished listening to the podcast. I like to listen while I am exercising. Marly, you are brilliant ; I love your work. And Lindsey, what a brilliant idea you had. Congratulations on your many successes. Love your podcast, Marly! And such an inspiring story! Loved this episode! The bag club is a brilliant idea! First time listener; found you on Stitcher today. What a great podcast! Lindsay’s story is so gut-wrenching, touching and inspiring. 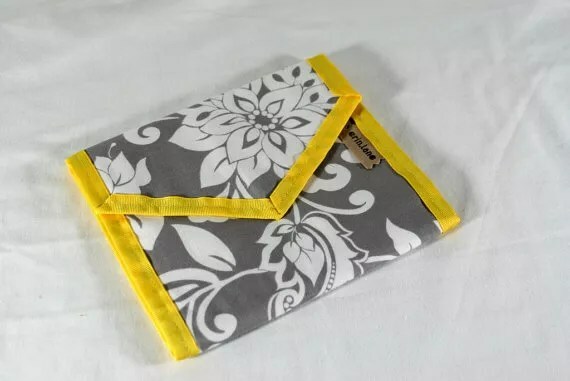 I’ve heard all about the fabulousness of Erin Lane Bags from other podcasters and thought, if I got a chance I would have to check out her site. However I have to confess, when you two started talking about the bag club, I was walking into my office and headed straight for my computer (I might have even quickened my step). No talking, no “Hi, how was your Holiday,”…nothing. I paused the show, got on the website, and joined the club. I’m sooooo excited. I don’t own any of her bags yet, and can’t wait for my first shipment. I think my Mother’s Day request will be the Omni 🙂 I wish you gals all the luck! What a brilliant episode! The story behind Erin Lane bags brought tears to my eyes. As a teacher I understand the stress of the job and wish Lindsey the best of luck with being able to quit teaching and work full time with her bags. Marly’s podcast was the first time I’d heard of Erin Lane and I’ve since been on Etsy and taken note of all the bags I want for Christmas! Thanks for the brilliant interview and for the introduction to Erin Lane bags! A great story and what beautiful bags & cases; I love the colors and the designs! I just might have to do some Christmas shopping there! Am I too late? I only have one Erin Lane bag! It’s black & brilliant lime green on a white background. I LOVE it and sure could use some more! I may be too late for the podcast but regardless, I wanted to go on record to say that Lindsey’s husband offered a brilliant idea on that divided bag and Lindsey is one of the most dedicated entrepreneurs out there. Brilliant podcast. I love Lindsey’s story and how her passion has helped her family.